Well, it’s the end of an era. Printed POOP has come to an end. While I lament the fact, it doesn’t really surprise. I won’t go into a full-on screed against technology, but I will say that I’ll deeply miss the physical manifestation of all our rants and raves. So thank you, Mark, for all of the years of toil, trouble and hard nagging that you put in to bring this motley crew of music obsessives laughter, joy, and most essentially, new sounds to hear and love. Thanks also to Zip for carrying the torch into the not-quite-as-bright digital future. 1. 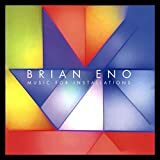 Brian Eno ~ Music for Installations : Eno is one, one is Eno. 2. 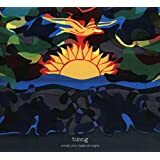 Tunng ~ Songs You Make at Night : An unexpected and welcome return from these purveyors of finely wrought, unsettling, and distinctly English folk music (but not really folk music). 3. The Orb ~ No Sounds are Out of Bounds : True to its title. Some tracks are ready for the club, some for ruminative contemplation, and some are just weird. Oddly amazing. 4. 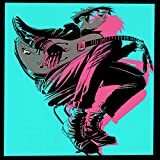 Gorillaz ~ The Now Now : A quick return. Dark disco. 5. Tangents ~ New Bodies : A little bit more ambient/atmospheric on this album. Still weird jazz. 6. Hampshire & Foat ~ The Honeybear / Nightshade : Tone poems and mood pieces in a folk/jazz setting. 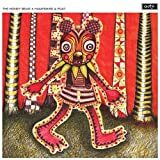 The Honeybear is the soundtrack for a fictional (non-existent) children’s book. Nightshade is a library of songs for unmade documentaries, soundtracks, and television. 7. Sam Wilkes/Sam Gendel ~ Wilkes/Music for Saxophone and Bass Guitar : Definitely jazz, but in a gauzy, ambient setting. I can hear some of these songs in a Bladerunner film. Wilkes plays bass and keyboards, Sam Gendel on sax and guitar. Two short, intense excursions in mood. Nice. 8. Mary Lattimore ~ Hundreds of Days : More cowbell you say? More harp for me. 9. Kelly Moran ~ Ultraviolet : Prepared piano and keyboards. Classical or psychedelic gamelan? 10. Villagers ~ The Art of Pretending to Swim : In good form. Lyrics, voice, and production are all at a high level. O’Brien has a way of using familiar cliches in an interesting and thoughtful style. 11. Mitski ~ Be the Cowboy : Short vignettes of damaged, dysfunctional, and unrequited lovers. 12. Low ~ Double Negative : What it might feel like when the catastrophic EMP occurs. 13. Alex Somers ~ Black Mirror : Slight, almost incidental soundtrack music, that is both beautiful and melancholy. Can’t understand why the Dawson City soundtrack hasn’t been released. 14. The Low Anthem ~ The Salt Doll Went to Measure the Depth of the Sea : akin to the Tunng album (but the American cousins), with a lyrical theme based on a Buddhist pantheistic fable. 15. Phosphorescent ~ C’est La Vie : Happy now. It is amazing what a wife and child can do to you. Field Music ~ Open Here : Back on track. A return to the chamber pop of their early days. Although we were listening to a few tracks the other day and Natalie mentioned that it reminded her a bit of Queen (and not in a good way). Pomp and circumstance, and all that. Nils Frahm ~ All Melody : A long, deep breath (ambient/piano/jazz). 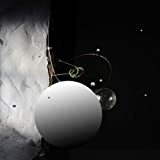 Gogo Penguin ~ A Humdrum Star : A short, sharp shock (indie/piano/jazz). The Good, the Bad & the Queen ~ Merrie Land : A regretful look back at a mythologized England that never was, but also a meditation on England’s current status in the world. While it took some time to fully appreciate the brilliance of their first album, to me, it stands as a timeless classic. Unfortunately, I don’t think this will measure up. Thom Yorke ~ Suspiria : A horror film soundtrack by Thom Yorke … what you might expect. Tim Hecker ~ Konoyo : Eerie manipulations of traditional japanese gagaku music. Sarathy Korwar ~ My East is Your West : Indian classical/jazz fusion in the vein of Alice Coltrane, Pharoah Sanders, etc. Great performances, not the best recording. Sam Phillips ~ World on Sticks : Still the same Sam. My wife laughed the other day while listening to this, saying it sounded like the soundtrack to some bad television melodrama. She didn’t know about the Gilmore Girls! Life can be funny like that. I still like it. Richard Thompson ~ 13 Rivers : Workmanlike, with a few new tricks. RT can be extremely vexing at times. There are some great songs here, although to be honest, they are retreads of earlier great songs. There is also, perhaps, the worst song he’s ever committed to an album. O Cinderella, really? At least he’s cut back on the unbearably over-emotive vocals of the acoustic albums he’s released in the past few years. Still, even his bad albums always have a few gifts. Ryley Walker ~ Deafman Glance : Hit and miss (although much better than the albums before and after this). Unsurprisingly, Nat doesn’t really like this guy. She says he kind of sounds like a weird Eddie Vedder. Ouch. I guess I did like a couple of Pearl Jam songs. Beak ~ >>> : Kinda cheesy 70’s retro (motorik, English folk-rock, power trio). Dr. Dog ~ Critical Equation : Sounding a little tired. 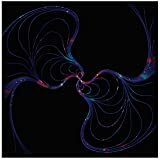 Neil & Liam Finn ~ Lightsleeper : A few good songs, but I was really hoping for much more. Mark Pritchard ~ the Four Worlds : An interesting diversionary EP. Wand ~ Perfume : Along the same lines as the last full length album. Laurie Anderson ~ Landfall : Reflections on the flood. Ian William Craig ~ Thresholder : A ghost in the machine. fOUR ~ X.IT : Pretty amazing one-man, one-take new wave. Check out bandcamp for proof. Jon Hassell ~ Pentimento (Listening to Pictures, Vol. 1) : Immersive mood pieces. Paul McCartney ~ Egypt Station : No one makes it sound as easy as this guy. Be the first to comment on "Matt Nerney Poop 2018"